COLLEGE STATION, Texas - Court documents revealed gruesome details of 2-year-old Hazana Anderson being beaten to death with a belt. The child's mother, 21-year-old Tiaundra Christon, told officials that Hazana disappeared at Gabbard Park on Sunday morning, police said. Christon told police she had walked away to get a bottle for her daughter and, when she had turned back around, the child was gone, officials said. Christon was charged with child endangerment and false reporting to police after the disappearance of Hazana. On Wednesday, a child's body was found in Texas City, officials said. Though the body has not yet been identified, investigators believe it could be Hazana. Results from the autopsy could take weeks to come back. According to authorities, the body was discovered 140 miles away from the park where Hazana’s mother reported her missing on Sunday. Shortly after the body was found, the mother’s boyfriend was arrested Wednesday, records show. Kenny D'Shawn Hewett, 32, was arrested for a charge of tampering with or fabricating physical evidence with intent to impair a human corpse, according to jail records. During the investigation, Christon told detectives that she, Hazana and Hewett were staying at the Downtowner Inns and Suites hotel in the 7100 block of Monroe Road, according to court documents. Christon told detectives that Hazana and Hewett left the hotel to get food, but when they returned 30 minutes later, the child was crying and Hewett begin hitting the child violently with a belt violently on her arms, legs and face, according to court documents. Christon said Hewett asked her to discipline Hazana, so she then hit her with the belt several times, but Hewett told her she wasn't hitting her hard enough, according to court documents. Hewett began beating the child again, and the girl started to go in and out of consciousness, documents revealed. Christon said she and Hewett put Hazana in a bathtub and ran cold water in an attempt to revive her and that the child had a pulse, documents revealed. Christon said while removing Hazana from the bathtub, she noticed the child had been sexually assaulted, documents revealed. Christon said they later discovered the child was dead and was cold to the touch, so they tried to heat her body back up with a hairdryer but burned the skin of the child, documents revealed. Christon told detectives that she drove around with the child's body in her vehicle's back passenger floorboard for three days before dumping the body in a body of water, documents revealed. Hewett also admitted to detectives that he was involved in the disposal of the body and provided the same details as Christon, documents revealed. The body was found at the exact location where Christon and Hewett stated, according to court documents. Child Protective Services said Christon didn't have any prior history or incidents. Hewett’s track record is far from pristine. 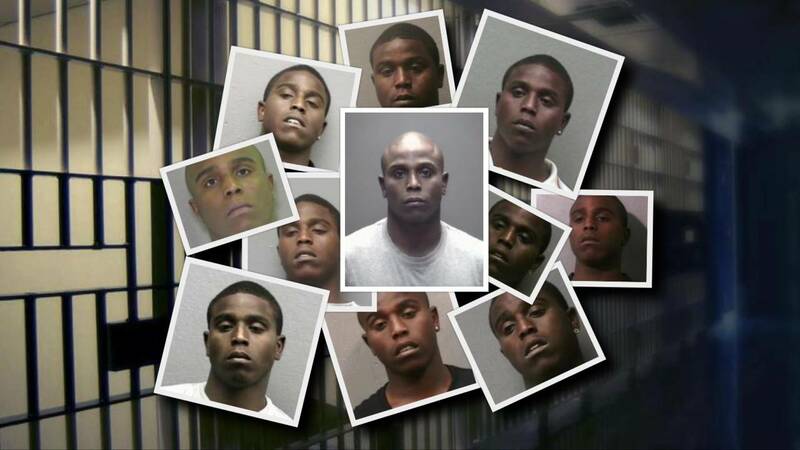 He has a long criminal history and has been arrested multiple times. The previous mugshots of Kenny Hewitt.